I participate in a monthly cookbook challenge. Task: Cook one recipe a month from a cookbook. It doesn’t sound that hard, book for some reason I have trouble. Do you use a cookbook often? So, a week too late, this is what I came up with. 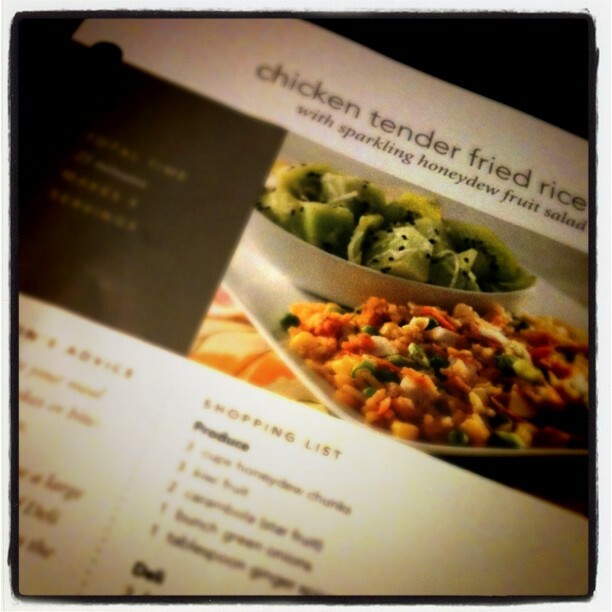 Publix has these recipe cards that you can pick up in the store. When compiling several of them together, some might say you get a cookbook. So, for the month of July I’m sharing one of our GO TO meals from the Publix Cookbook. In a frying pan, on medium heat, warm up some oil & throw in the chopped onions. While they are sizzling, heat up the rice according to the package directions. Add the rice to the pan. “Fry” the rice for 3 or 4 minutes. In the meantime, season the chicken with soy sauce. Back to the pan…make some space in the middle and crack an egg. Stir around & fry with the rice. Once the egg is cooked, add in the chicken. It’s like you are sitting right at the Hibachi! ** Make sure and enter my UPrinting GIVEAWAY to win 100 FREE (design your own) postcards!! Linking up to the fabulous parties! Can't wait to read more of your recipes! This looks delicious. I need to try this. We have a link-up party going on – Tea Time Thursdays @ Kreative Korner. I would really appreciate if you'd link up some of your awesome posts there. Hope to see you at the party. This week's link party is going on now, so don't forget to link up! Thank You for sharing your recipe with us at Cast Party Wednesday! Your recipe is being featured tomorrow! Please stop by add more of your delicious recipes and grab a featured button! Just found you through MMM on C.R.A.F.T! Looks so quick and yummy! Would love for you to share at Calling All Crafters! this looks incredible! Thanks for linking to Tasty Tuesday. This looks like an awesome dish. I just love your combination of flavor for the dish. Hope you are having a great week end and thank you so much for sharing with Full Plate Thursday! YUM!!! I must try this!! Thank you! I'm hosting a link party today over @ For Mamas. I'd love it if you stopped by & linked up! Yum! 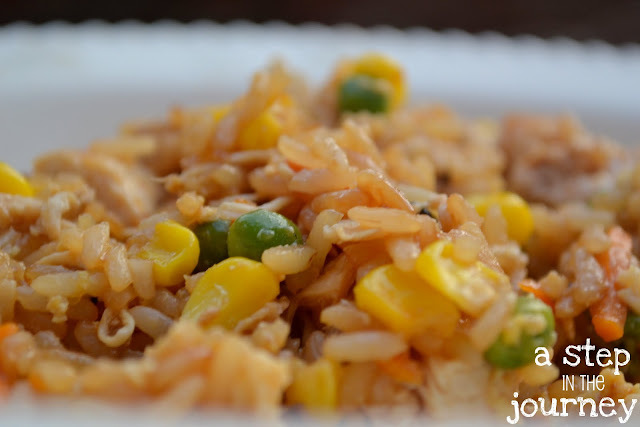 Love homemade fried rice!! Great. Now I'm hungry. Wonderful job! Thanks for linking to Wicked Awesome Wednesday! Wow, this looks great! Thanks for linking up to Craft and Tell! That looks a great dinner for a busy evening. Delicious. Come over and visit us. We would love to have you and we have some wonderful Southern recipes this week.